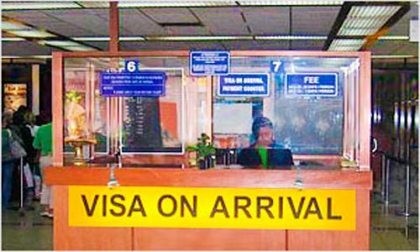 Apart from the four metro cities in India, tourist visa on arrival (VoA) facilities will now be available in five more places in the country. The facility has been introduced in the cities of Bangalore, Goa, Bangalore, Hyderabad and Kochi. An Indian tourism ministry official said that the decision to introduce the facility in more cities was taken at the third inter-ministerial Coordination Committee meeting . At present, the VoA facility can be availed at Mumbai, Chennai, Delhi and Kolkata. The Prime Minister’s office had taken the initiative to form the inter-ministerial coordination committee on tourism, so as to sort out the problems related to tourism on a priority basis. The ministry of tourism is now looking forward to introducing a more liberal visa regime in order to encourage and grow tourism in the country. The VoA facility has been permitted for citizens of about 11 countries, which include New Zealand, Luxembourg, Finland, Cambodia, Laos, Japan, Singapore, Myanmar, Philippines and Indonesia. In the month of March 2013, around 2,107 visas were issued, as compared to just 1,287 VoAs which were issued in the same month the previous year. This means that a growth of 63.7 percent has occurred. From the month of January 2013 to March 2013, a total of 5,744 VoAs have been issued, as compared to 3,905 visas in the same month last year. BharatFinance.com covers the latest happenings in the unpredictable, yet fascinating world of finance.